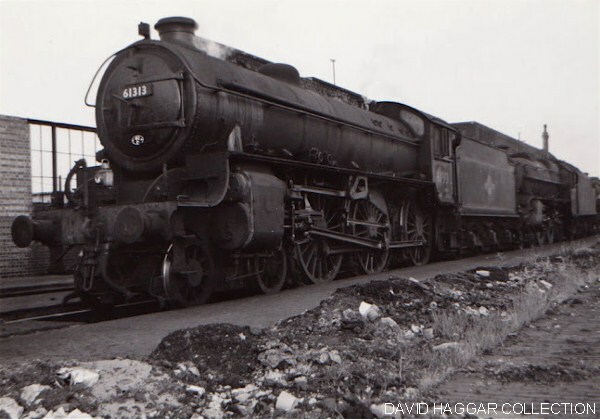 Having grown up in the fifties and sixties within visual distance of Hampden Park level crossing, it was inevitable that I would be drawn to the variety of steam locomotive classes that were an everyday sight until 1965. Staple diet on the hourly Tunbridge Wells service was Fairburn and Standard 4 tanks, whilst E4 tanks handled the shorter Hailsham run. The Fairburns began to be exchanged for more Standard tanks in late 1959 when I noted a stranger in the form of 80088 from my lounge window on 20th December. 80094 and 80043 soon followed on being noted on 17th and 18th January 1960, whilst my last recorded Fairburn was 42101 on Sunday 14th February that year. 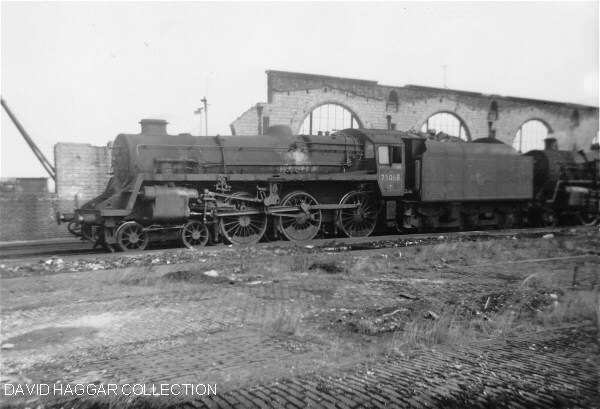 Freight was handled by a variety of classes including K, C2X, Q, Q1 and E4s. 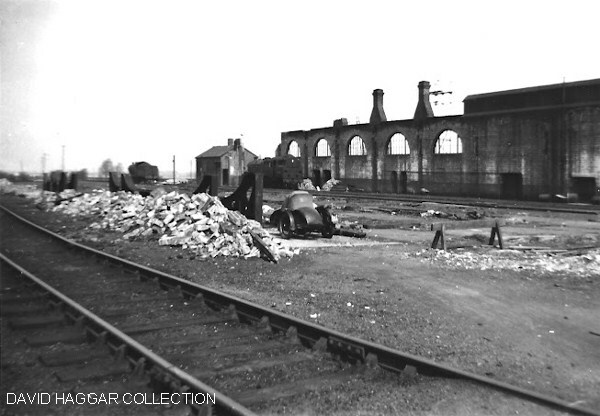 The coal wharves were on the east side of the approaches to Eastbourne Station, whilst the general freight sidings were adjacent to platform 1 on the west side. At Hampden Park a goods yard existed next to the up line. Here the main commodity was coal and wagons filled with bricks for the many estates that were under construction in the area. I well remember laying in bed and listening to the regular K class shunting it's wagons after dark and the magical ching, ching, ching of buffer on buffer, a sound all but gone today. The Glasgow to Eastbourne car sleeper service was a source of fascination to the growing band of local schoolboy spotters and initially the motive power was provided by four King Arthur N15s with 30767 "Sir Valence" being the first to be recorded followed by 30793 "Sir Ontzlake", 30795 "Sir Dinadan"and 30798 "Sir Hectimere". It was with great regret that the usually clean brunswick green Arthurs were supplanted by two grubby ex- Midland Region Standard 5 4-6-0s 73041/42 in 1958. 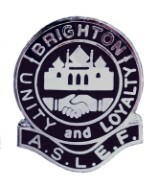 The latter was to be the loco involved in the fatal Eastbourne train crash on 25th August 1958. Little was I to know that the train I watched racing through Hampden Park that morning was just minutes from disaster! More interesting motive power was to follow however, and Bulleid Pacifics could often be seen at the head of the train with 34089 "602 Squadron" becoming a regular performer in the new decade. In all, I recorded no less than 35 different light Pacifics, both original and rebuilt over the years. 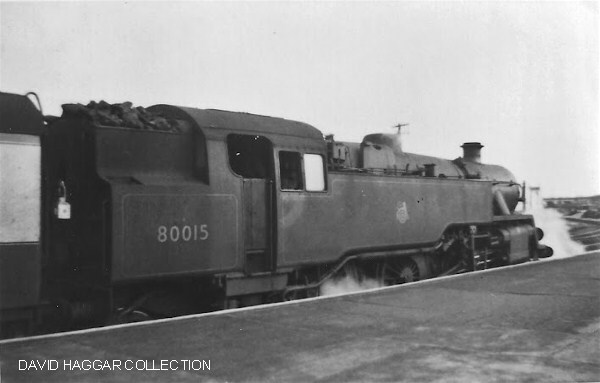 The year of '59 was to bring a number of interesting and unusual locomotives to Eastbourne amongst which were T9s 30702 and 30711 on 7th October and 31st July respectively. 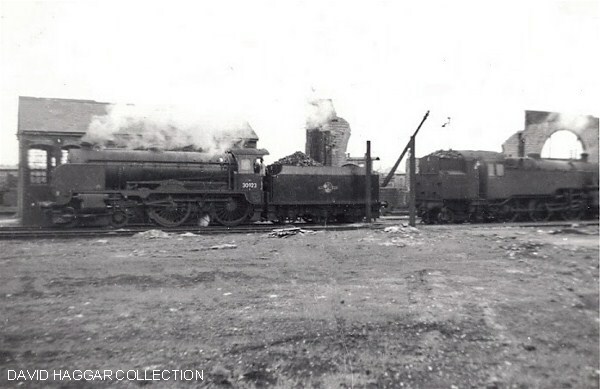 These and the last E1/R 0-6-2T 32697 which arrived at the end of October were en-route to Ashford for scrapping and demanded immediate attention from the spotting fraternity whilst they remained on shed. It was on 17th November 1959 that I observed my first rebuilt light Pacific in the area when 34021 "Dartmoor" pulled out of Hampden Park with the two coach 8.20am Hailsham service returning tender first at 8.55am. Apparently the Pacifics arrived in Eastbourne with the overnight parcels and paper vans from London and the Eastbourne shed foreman having had them turned , made use of them on the Hailsham run. "Dartmoor" was followed by a succession of rebuilds including '25 "Whimple", '37 "Clovelly", '05 "Barnstaple", '50 Royal Observer Corps", '03 "Plymouth", '13 "Okehampton", '16 "Bodmin", '12 "Launceston", '22 "Exmoor", '14 "Budleigh Salterton", and '01 "Exeter". 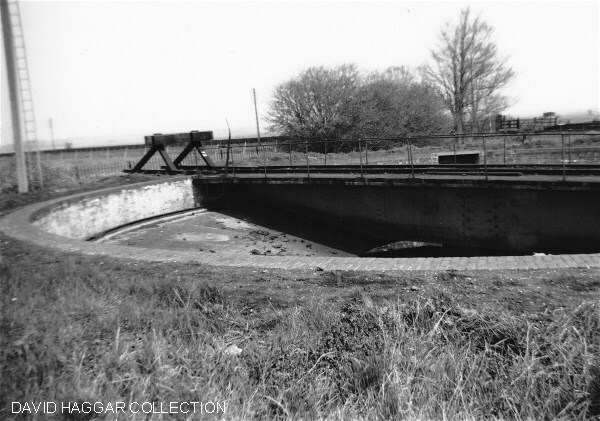 Visits to the roofless Eastbourne MPD at weekends and often after school involved cycling down to Tutts Barn Lane and then through the large allotment area to the wooden bridge which spanned a dyke to gain access to the hallowed ground. Bikes would be left on the allotment side of the bridge as a quick getaway was sometimes necessary if the shed foreman spotted you and came running, shouting, shaking a fist and occasionally lobbing a lump of coal at you! 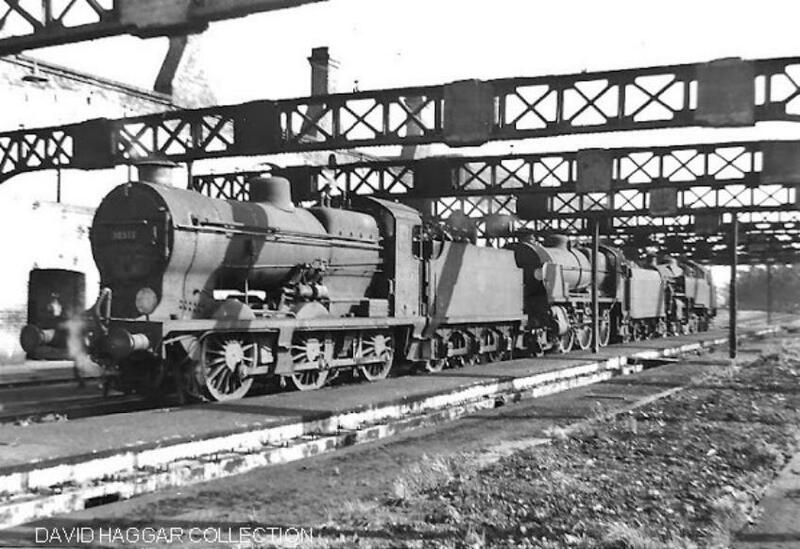 In 1962 one could expect to see up to three K or Q Class locos, the occasional N or U1 and several Standard 4 tanks on shed plus summer Sundays held Schools 30923 "Bradfield" or 30928 "Stowe"on a regular basis. 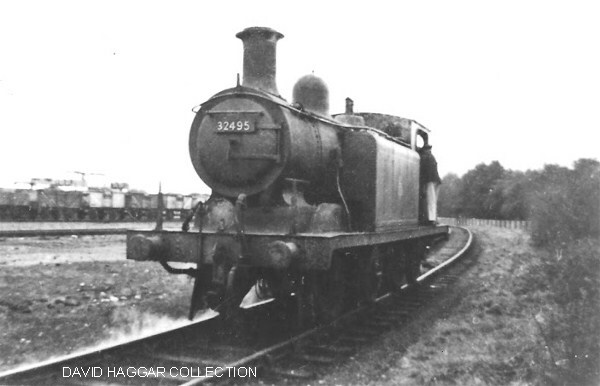 Other regulars involved rebuilt West Countries 34100 "Appledore" and 34101 "Hartland". 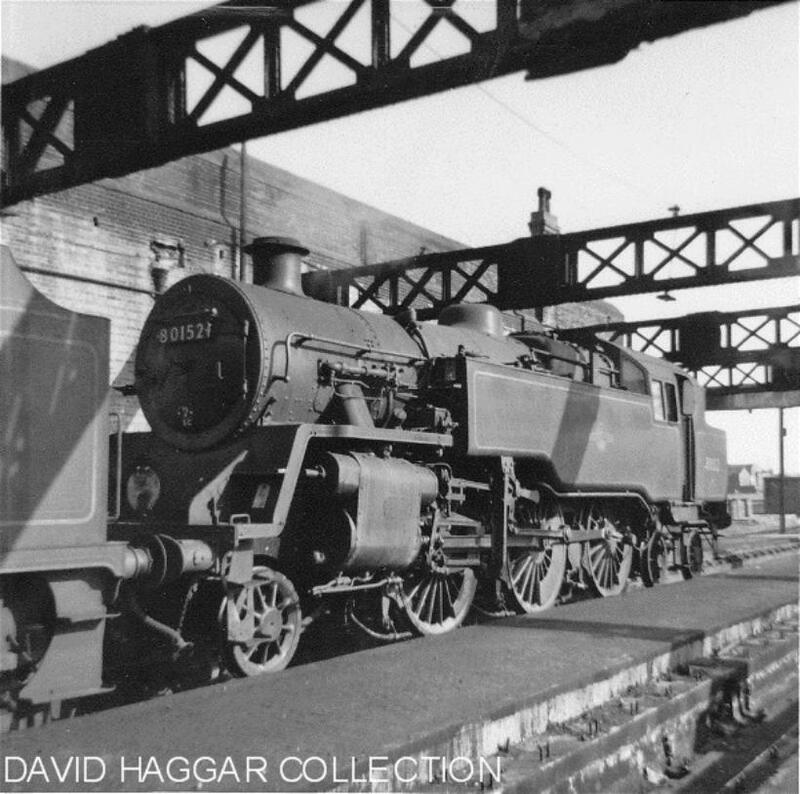 An unusual class for Eastbourne arrived in the summer of '62 when H 0-4-4T 31518 redundant from push-pull work in Kent, set up home for a while for use on the Hailsham service. 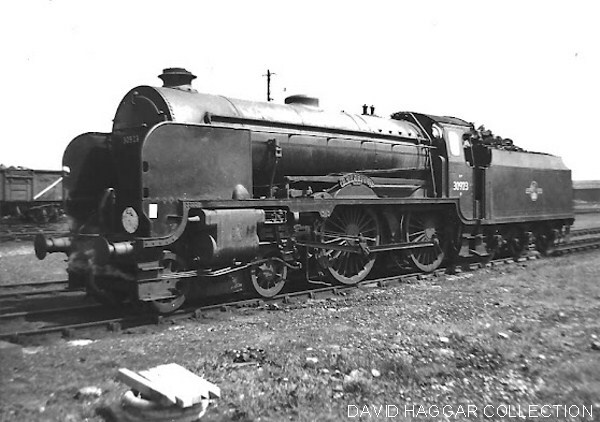 During 1963 further interest was created when a number of surplus Ivatt 2-6-2 tanks and former Eastern Region Standard 4 moguls were re-allocated to the Southern with 41326 and 76034 becoming regulars on Eastbourne shed, the latter being a replacement for the now withdrawn K class moguls. My Brownie 127 camera loaded with a roll of Ilford HP4 often accompanied me on shed visits and though not producing the greatest of images it has provided me with some good memories of a misspent youth. It was an extraordinary case of deja vu when some fifty years later on July 14th 2011 I found myself standing on Hampden Park footbridge with an old spotting chum and my son David, photographing 70000 "Britannia" on the Cathedrals Express. David was regaled with memories that my friend and I shared of standing at this very spot to witness the summer Saturday specials. Names such as "Blundells", "St Lawrence" and "Cheltenham" just slipped off the tongue.